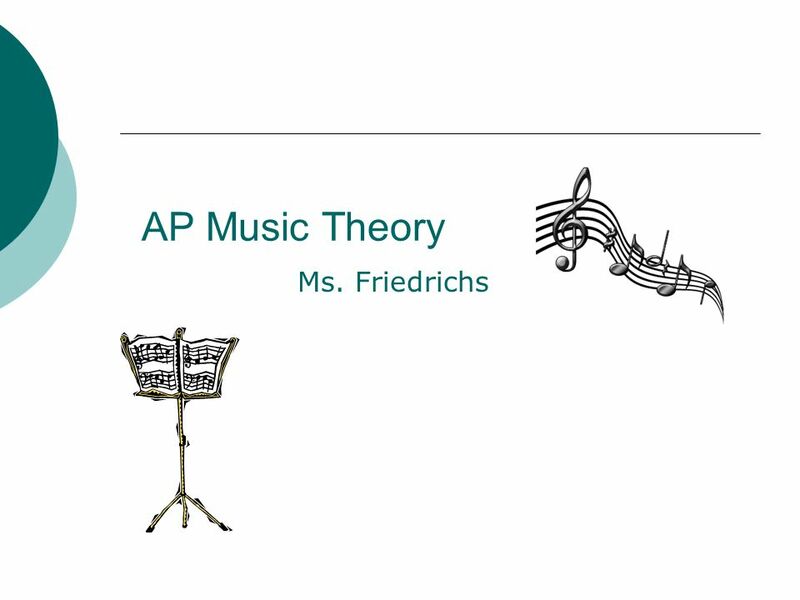 AP Music Theory Ms. Friedrichs. 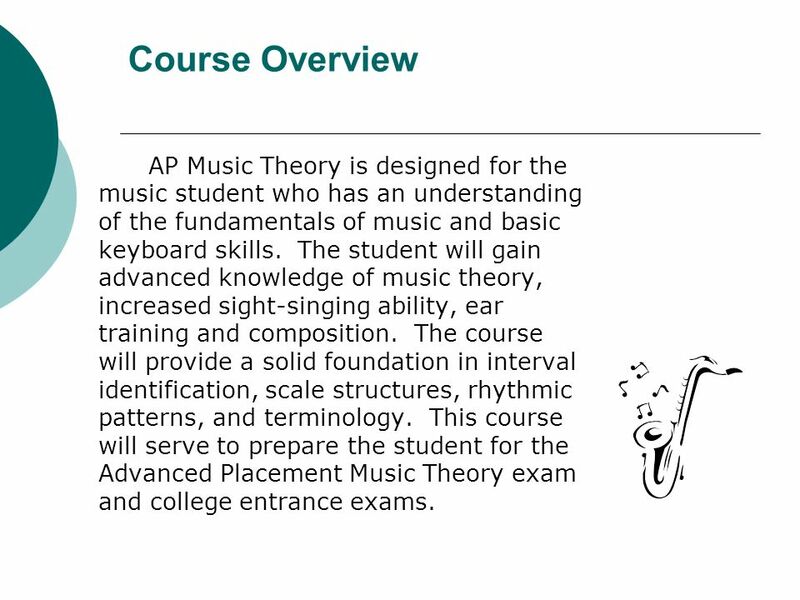 2 Course Overview AP Music Theory is designed for the music student who has an understanding of the fundamentals of music and basic keyboard skills. The student will gain advanced knowledge of music theory, increased sight-singing ability, ear training and composition. 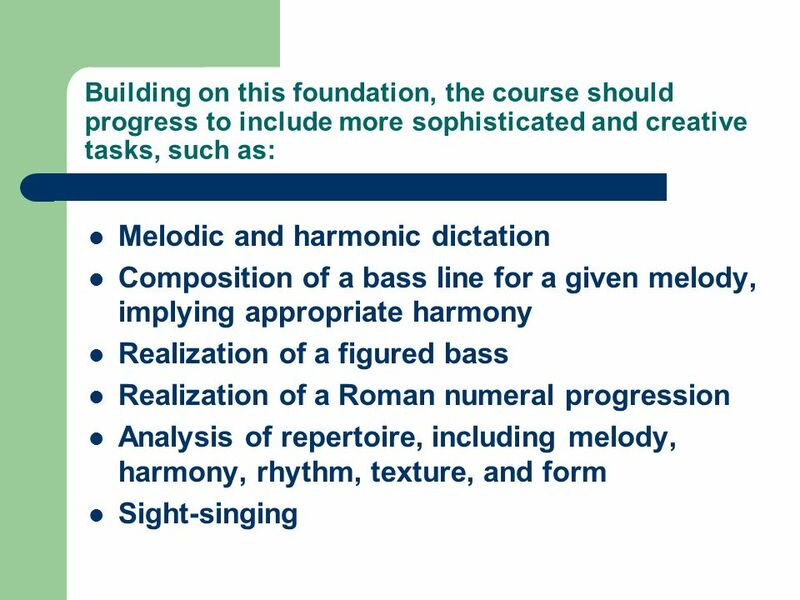 The course will provide a solid foundation in interval identification, scale structures, rhythmic patterns, and terminology. 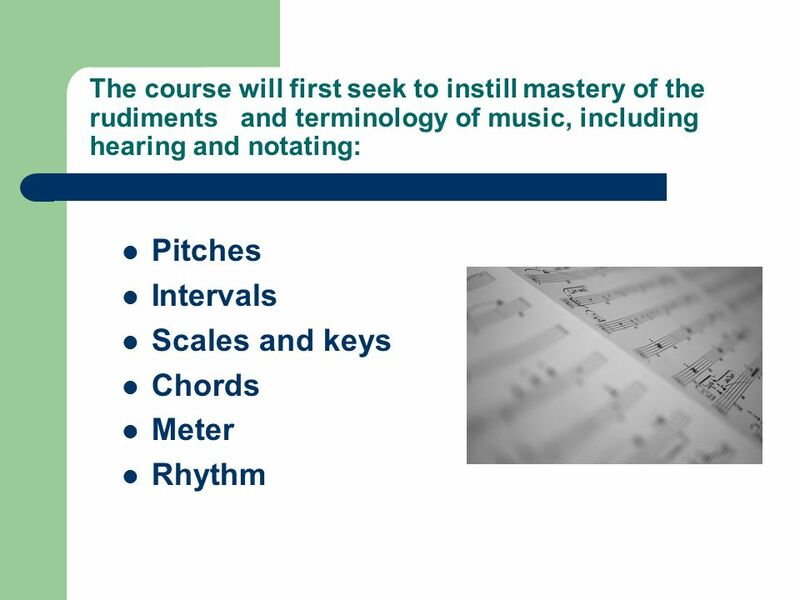 This course will serve to prepare the student for the Advanced Placement Music Theory exam and college entrance exams. 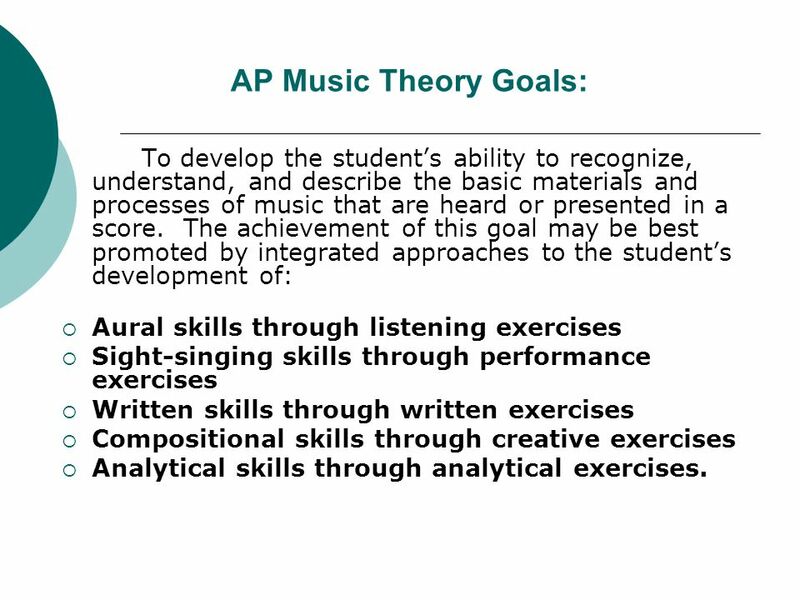 3 AP Music Theory Goals: To develop the student’s ability to recognize, understand, and describe the basic materials and processes of music that are heard or presented in a score. The achievement of this goal may be best promoted by integrated approaches to the student’s development of: Aural skills through listening exercises Sight-singing skills through performance exercises Written skills through written exercises Compositional skills through creative exercises Analytical skills through analytical exercises. 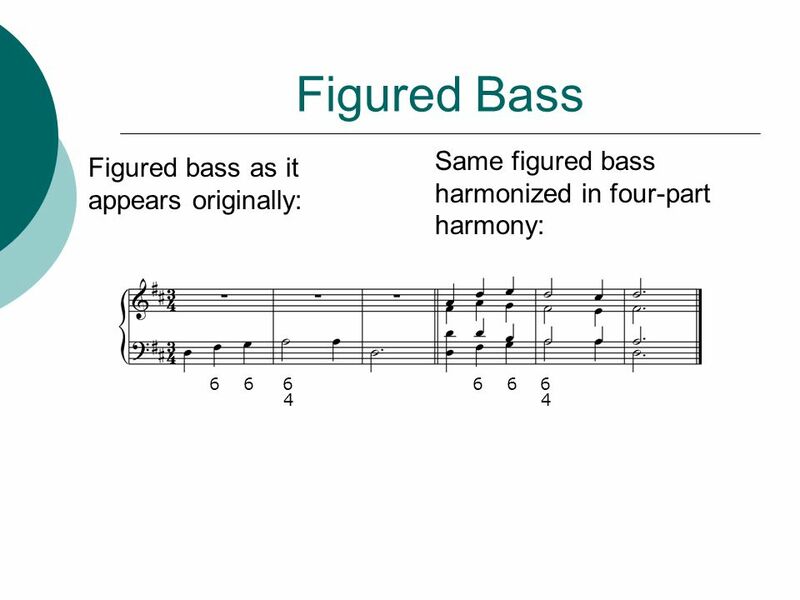 11 Summary AP Music Theory is an interactive class in which students can apply their knowledge to different styles of music, whether choral, instrumental, 14th century through present day, classical, popular or jazz. 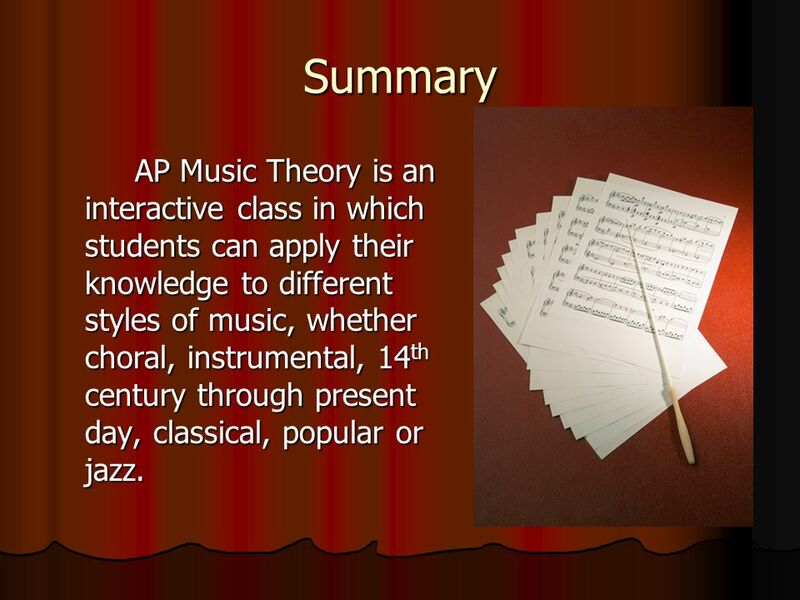 Download ppt "AP Music Theory Ms. Friedrichs." How we talk about music Especially 20th century music. Lesson Three Reading Music: Pitch and Duration. 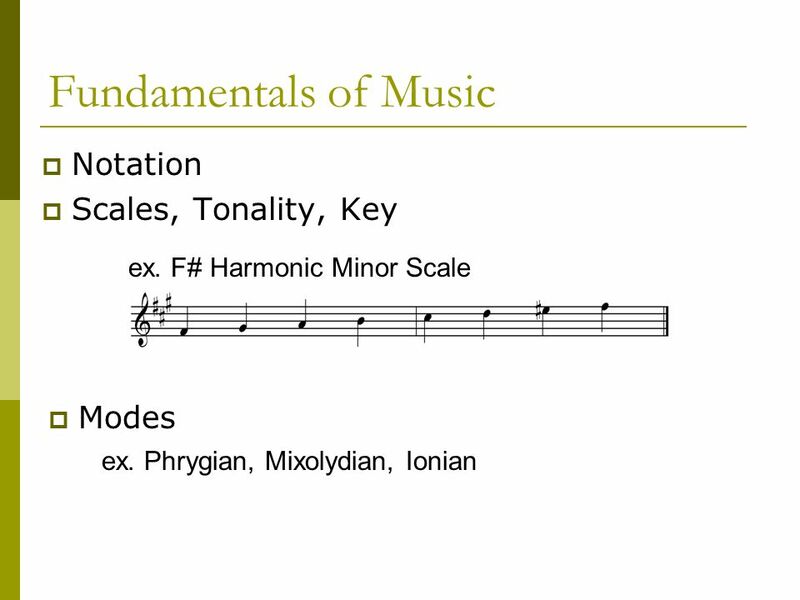 Duration: Quarter Notes & Eighth Notes  In the second lesson on duration you that one quarter note lasts. Lesson Three Reading Music: Pitch and Duration. 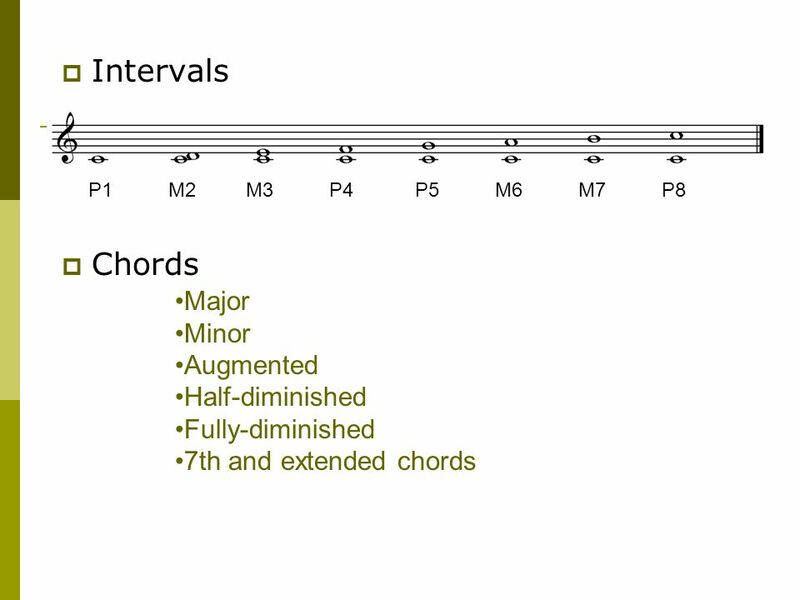 Duration: Quarter Notes & Eighth Notes In the second lesson on duration you learned that one quarter note. THE TONIC AND SUBDOMINANT TRIADS IN FIRST INVERSION The I 6 and IV 6 as Embellishing Chords Chapter 11. Chapter 8. 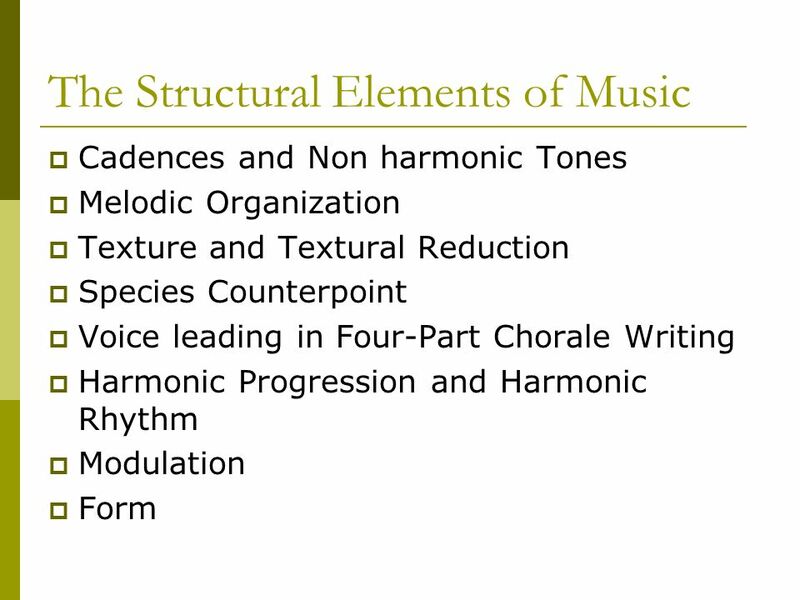  Voice leading  Linear aspect of music (melodies)  Species counterpoint  Composition in Renaissance style  Cantus Firmus  Fixed melody. Chapter 7 The Early Baroque Period Style Features of Early Baroque Music. 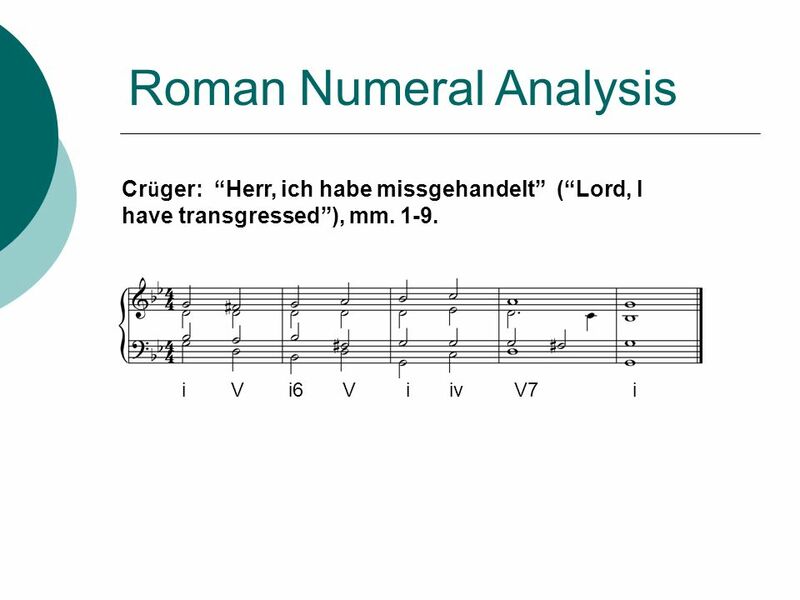 High School Music Theory The Fugue Straka. What is the Fugue? The fugue is a composition based on imitative counterpoints. It has a fixed number of voices. Week of October 22, Tuesday, October 30, 2012 XHS: 4 th Block exam period CHS: 1:40–3:05 pm.